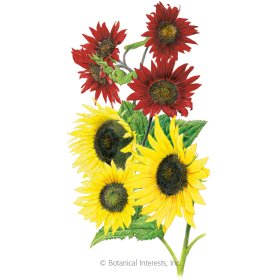 This may be a blend of shorter varieties, but it's not short on selection. 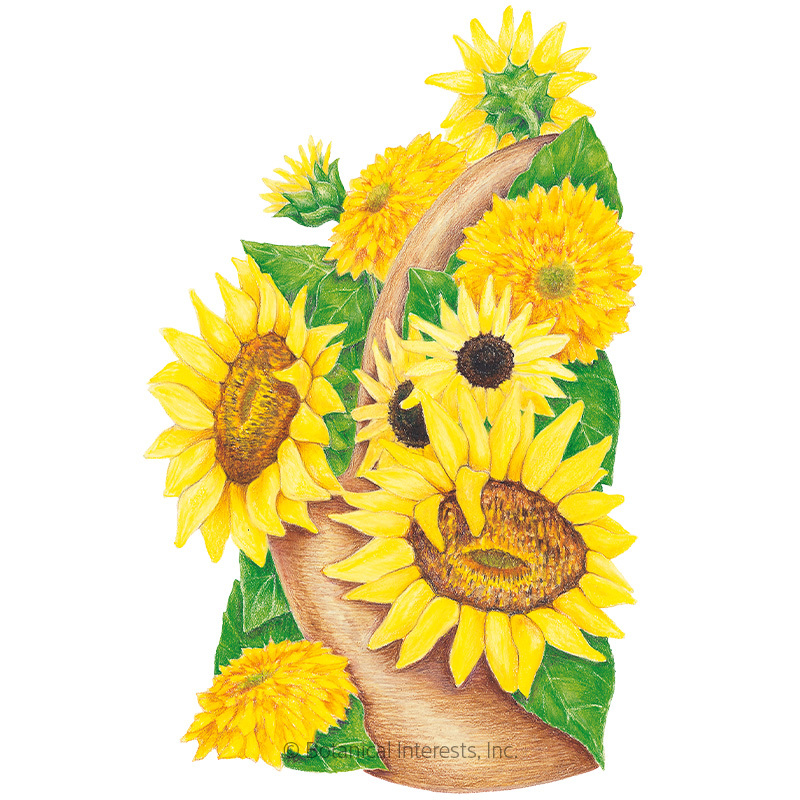 Large and small classic sunflowers, and multi-petaled pom-pom types will brighten your garden, draw pollinators, and make cheery bouquets to embellish your indoor spaces. 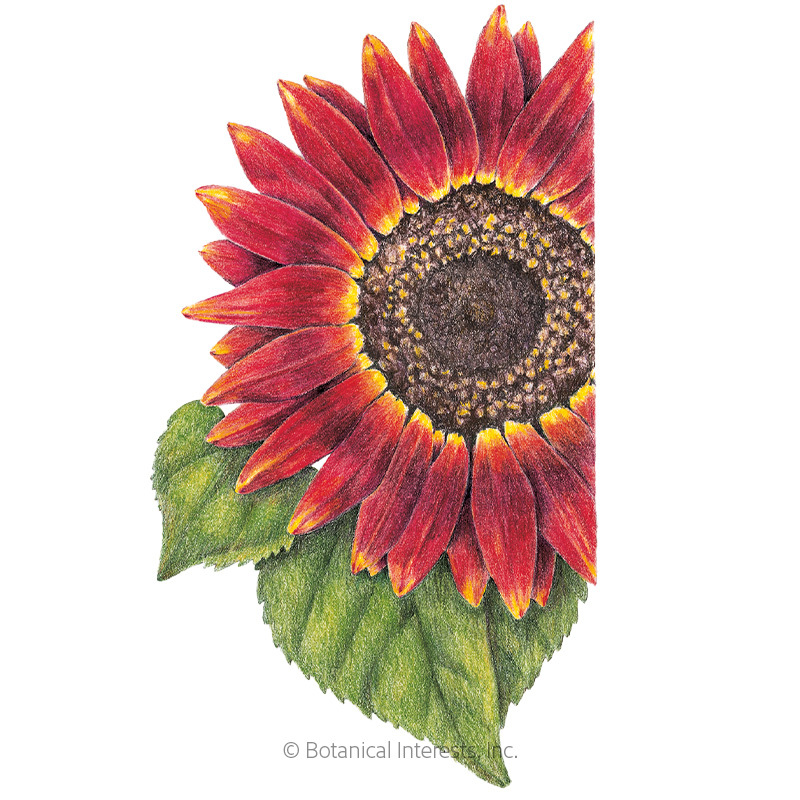 Branching, drought-tolerant plants will be loaded with sunny yellow blooms from summer to fall. Great in containers or as a short, annual hedge. Fantastic first-time flower for your little elves—oops!—kids to grow! 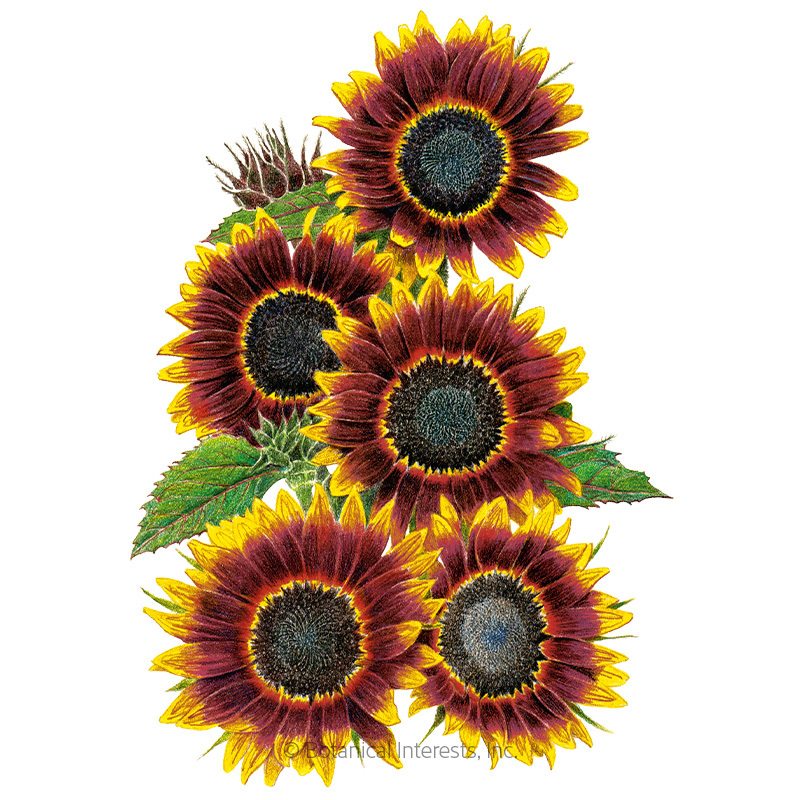 Variety Information: 4"–6" wide bright yellow and golden, single and double flowers, some with dark centers. Seed Spacing: A group of 3 seeds every 6"–9"
Thinning: When 3" tall, thin to 1 every 6"–9"